If you’re an architect looking for new roofing for your office, where do you go? 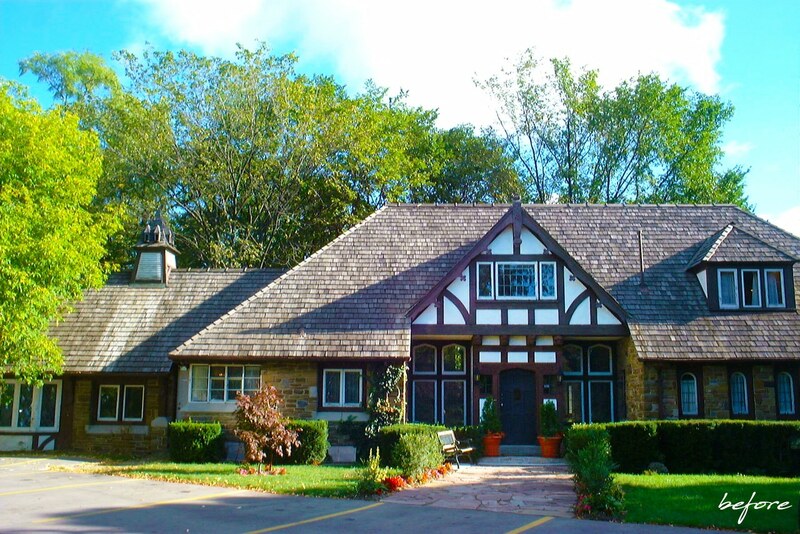 The answer was easy for the team at Domus Architects: DaVinci Roofscapes. The unique structure Domus Architects occupies is actually an 80-year-old building. 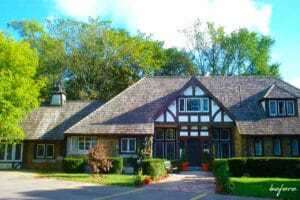 Originally constructed around 1935 as a country retreat, the English manor style building is now home to a variety of commercial enterprises, including the architect’s office space, a daycare for 50 children and a massage therapist. 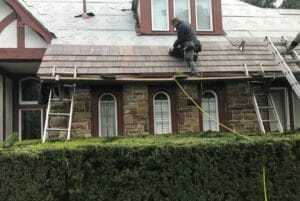 Meffe’s search soon brought him to the composite shake roofing shingles from DaVinci. Meffe points out that the selection of composite shake roofing replicates his firm’s commitment to investigating and specifying high quality products for a specific project. For the top of the structure’s roof, the architectural team chose DaVinci Multi-Width Shake in an Aged Cedar color. Part of the Nature Crafted Collection, the Aged Cedar profile has been described as reflecting a burnt reddish cedar tone. This color is generally found when there’s a transition from a new cedar shake roof into the weathered deeper tone. The Nature Crafted Collection captures the look of a moment and retains it for decades. DaVinci uses a proprietary process to recreate the natural warmth and softness of a patina previously only created by time and exposure to the elements. As with all DaVinci products, the DaVinci Multi-Width Shake products selected for this structure have a lifetime limited warranty and will not split, crack, curl or fade. Each tile has been crafted to resist fire and impact, along with high winds, mold, algae, fungus and insects. The composite tiles come in both wavy and straight grains throughout each shake tile to achieve an authentic wood look.